I wanted to introduce you to the "ATTENTION PLEASE" blog/article title. It denotes the importance of reading these articles with particular attention and awareness. 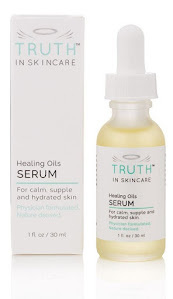 Pieces like these are the heart of the "TRUTH in SKINCARE" blog. I feel these articles are the best way that I can contribute my services to you, the reader. You can understand where I'm coming from by paying particular attention to these blogs. It is pieces like the "ATTENTION PLEASE" articles that I think can make up a "good, healthy, fat-free" diet of reading. From gossip mags to the internet, books to newspapers, we can all do a lot of reading on a typical day. I can sometimes find myself lost in a sea of people's comments and opinions, and plain-old junk journalism. Everyone's gotta say somethin' about somebody. I will give my best to make sure this site and especially these articles are not sensationalized. We get enough of that bombarded at us and, personally, I'm over it. Use INTEGRATED THINKING. Approach these pieces with all your faculties and all of your resources. An open, yet highly critical mind. Engage your senses, intuitions, your emotional states, and, most importantly, your instincts. After all, isn't this how we were designed to learn best?